The latest and, according to some, most important update to Google’s Android OS – 4.0 Ice Cream Sandwich – was open-sourced just a few days ago and talented folks from the hacking and developers community have already managed to get Ice Cream Sandwich (ICS) working on some of the most popular handsets. In this post, we’ll guide our readers on how they can flash ICS on a Samsung Galaxy S and Galaxy S II. Check it out after the break! The news comes from developer xplodwild over on Twitter in the form of a tweet which links to the files required for flashing ICS on Galaxy S / S II. The current build – Alpha 7 – is, well, in alpha stage. Most things, particularly connectivity features such as modem, Bluetooth, WiFi and other basic things like sound, camera etc. do not work. This build is not recommended for daily use. We suggest you stay away from this until the stable or at least beta builds arrive. Step 1: Download required ICS file to your computer. Step 2: Connect your device via USB and transfer the file to the root of your phone’s storage media. Step 3: Turn off your phone after transfer is complete. Now, turn off your device. Step 4: Boot into ClockworkMod Recovery by holding Volume Up + Home + Power button simultaneously until the main menu shows up on screen. Step 5: Scroll down to mounts and storage and format /system. After that, you must also format /data and /cache. Go back to menu and then wipe data / factory reset. Step 6: From main menu: install zip from sdcard > choose zip from sdcard > [name of file you downloaded in step 1] to flash ICS to your device. Note: According to KnowYourDroid, you need to flash this ROM twice to get it work. 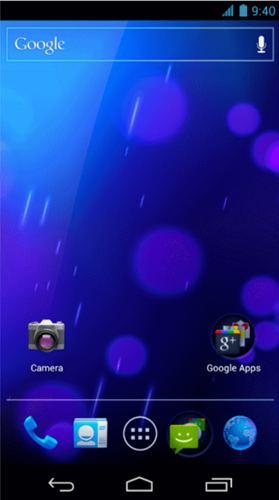 If you followed the steps correctly, you should now have Android 4.0 Ice Cream Sandwich Alpha build installed on your Samsung Galaxy S or S II smartphone.